Can I play the purchased M4V videos or the rent iTunes movies on BlackBerry? The M4V files you purchased from iTunes Store are only allowed to play on five computers and Apple devices. That is to say, even if you have bought the M4V videos, you can only play them on iTunes, iPod, iPhone, iPad and Apple TV because of the DRM protection. If you want to play the purchased M4V videos on BlackBerry, you need an iTunes to BlackBerry converter to help you. 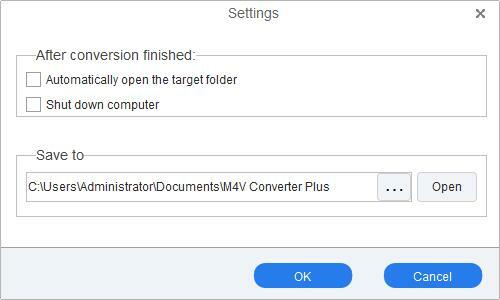 M4V Converter Plus is just what you need! M4V Converter Plus for Win is a powerful iTunes to BlackBerry converter especially designed for Windows users. It can convert the DRM protected M4V videos you purchased or rent from iTunes Store to the unprotected BlackBerry MPEG-4 format. Then you can enjoy the converted movies on your BlackBerry freely. 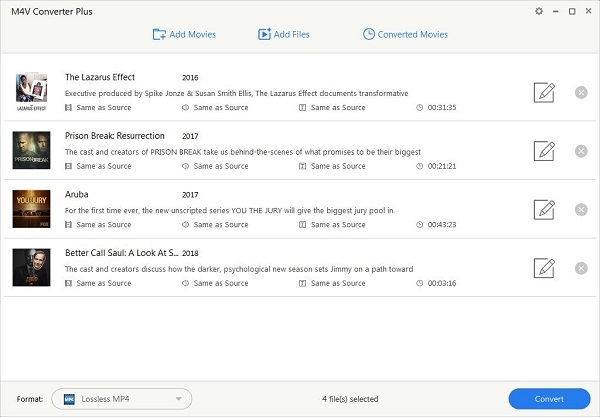 During the converting process, it records the movies quickly and then encodes to BlackBerry MPEG-4 format. Compared with other M4V converter software, M4V Converter Plus converts more faster and its output quality is much more higher. There are four steps to convert iTunes M4V to BlackBerry all together. It is quite easy to operate. Step 1: Import iTunes M4V videos to the converter. Click Add Movies button to add videos. Choose the videos you want to convert and click OK button. Then all the selected videos will be shown in the file list. 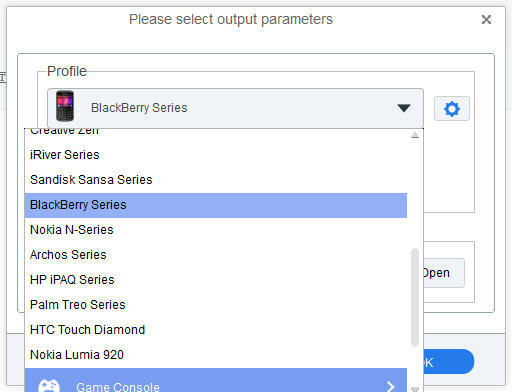 Step 2: Click drop-down list to choose BlackBerry Series of Other Mobile Phone/device. Step 3: Choose an output path. You can click gear setting --> option to set the output path. You can also use the default output path C:\Users\Administrator\Documents\M4V Converter Plus. Step 4: Click profile panel to start conversion. Can I try it before purchase? Yes, you definitely can, because we have a trial version for you. The only difference between trial version and full version is the trial version has the limitation that it can convert only one minute of each file. This design is to save your time, and then you can enjoy your converted movies earlier. All the other functions of the trial version are the same as the full version.